Recently Facebook rolled out new functionality that includes post scheduling and new admin roles. 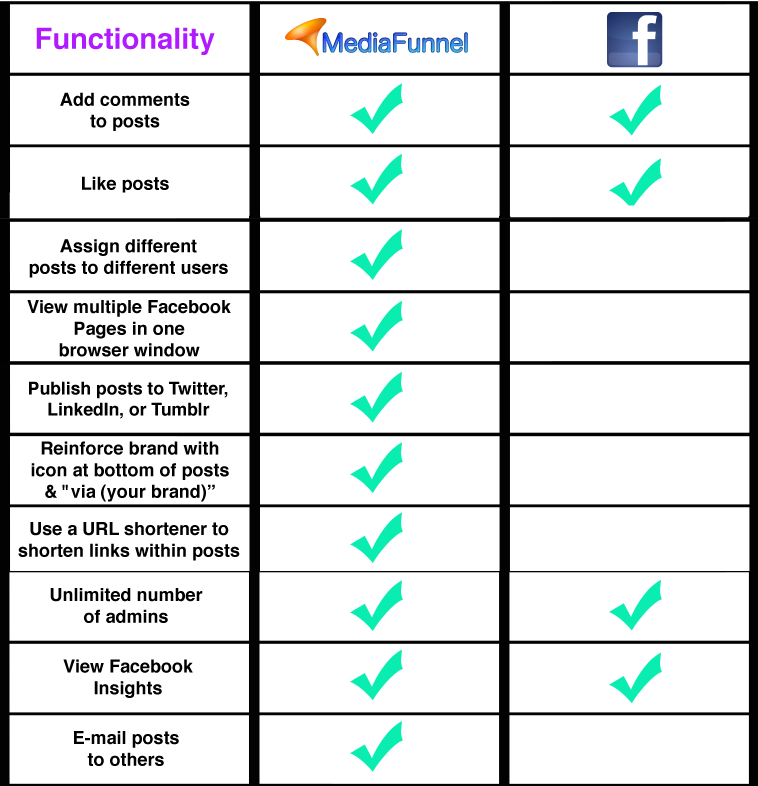 MediaFunnel has similar functionality for Facebook, so we’ve outlined the differences between what Facebook provides and what MediaFunnel provides to help you decide what will work best for your organization. 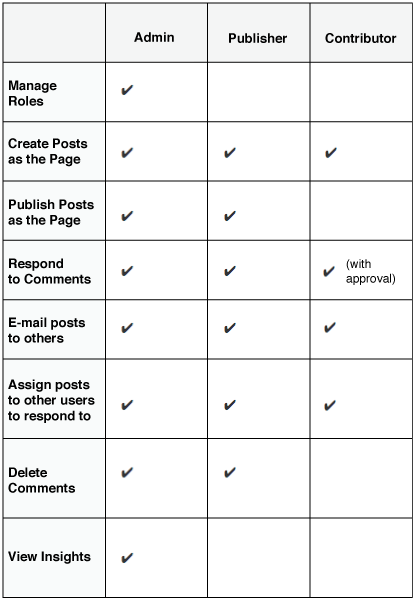 Like MediaFunnel, Facebook now allows admins to compose multiple posts and schedule them for publishing in the future. Below is a chart comparing the scheduling functionality of these two systems. 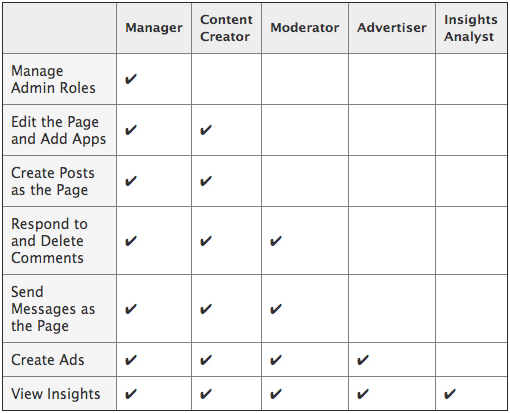 Scheduling and roles aren’t the only areas of difference between Facebook and MediaFunnel. See the comparison chart below for other distinctions in capability. 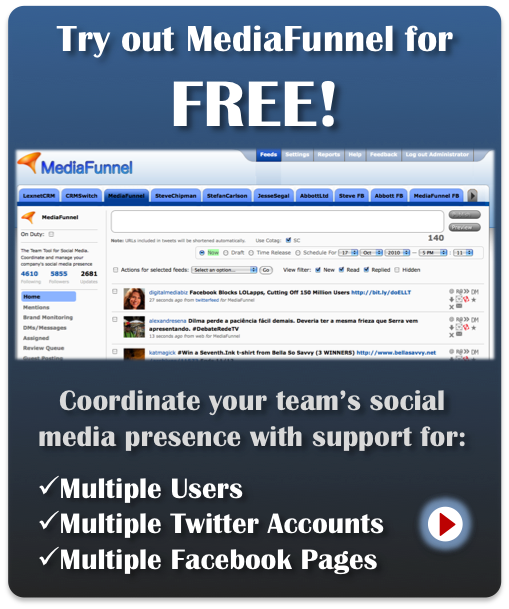 While Facebook allows users to publish posts only to Facebook pages, MediaFunnel allows simultaneous publishing to Facebook, Twitter, LinkedIn, WordPress.com and Tumblr as well. Perhaps your company is only focused on Facebook and its built-in options are sufficient. MediaFunnel provides a larger reach. Choose the option that is most suitable and efficient for your brand(s).